Home > Blogs > Business Analysis > Needs vs Wants in Project Management – Luxury Maybach or a Golf Cart? This post if from our Project Management Professional (PMP®) Certification Video Training PMBOK® 6th Edition certification course, start training today! All projects arise out of needs. Let’s make that really clear, it’s all about the needs, not wants. If mom and dad said no, they would go to grandma or grandpa, or whomever to try to get the cookie because they were asking about wants, not needs. For successful children, we need to make sure that their needs are met. We need to meet their needs to be successful. We can sometimes do the wants. Holidays, Christmas, birthdays, whatever, but we want to make sure that the needs are met first. This can be a challenge for the Project Manager because often the sponsor, customer or someone will come to you with what they want, rather than what they need. In all of the additions of the Project Management Body of Knowledge (PMBOK) prior to the 6th edition, these were described as Senior Management Directives. 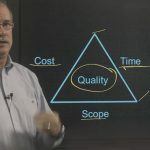 You have to make sure that the project provides value to the organization or the customer. That’s the difference between needs and wants. Needs provide value (wants and also provide value at least, a subset of them). Our job as a Project Manager is to peel away the layers of the onion skin in order to get to the core that’s the needs. He was right. I had often been successful as a Project Manager, meeting schedules and budgets. Meeting the needs of my customers by focusing on needs, rather than wants. I discovered there were a lot of the Project Managers that I didn’t like because they were matter of fact, either about meeting needs without helping people understand it. Or they constantly tried to meet everybody’s wants. Which brings up the phrase; “You can’t satisfy all the people all the time”. You need to learn, as a Project Manager, not to be harsh but to filter the difference between wants and needs. This is the story that my mentor told when I took his class back in 2001. He had worked for Bausch + Lomb and was effectively a construction project manager, rather than an IT project manager. Still, the story resonated with me. He worked to help build a plant for Bausch + Lomb in India that created the wire frames that went on those aviator glasses so famous in “Top Gun” and other shows, that everybody had to have a pair of aviator sunglasses. He had to build an entire community with parks and residence for the occupants, everything. His value to Bausch + Lomb, and his potential value to kidnappers, was high. 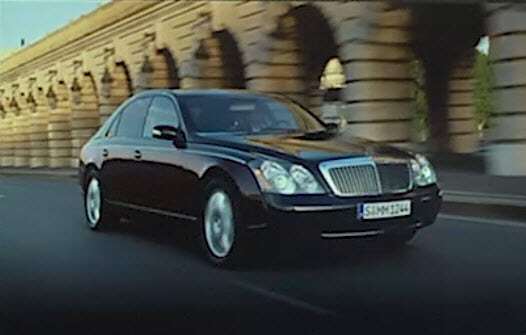 Bausch + Lomb got him a chauffeured Maybach automobile which is a very expensive high‑end Mercedes‑Benz. Back in the day, 6,000‑pound, 12‑cylinder vehicle, 12 miles per gallon, base price $358,000. It’s the type of vehicle that’s hardened by the Secret Service, or other protection agencies, so that it can take anything short of a direct rocket attack. As an executive or a top‑grade, as he was as an international construction project manager, your retirement gift was whatever vehicle that was the nicest vehicle they’d ever leased, hired, or provided for you. I’m thinking, “Ed, you should have said Rolls‑Royce, Rolls‑Royce.” Maybach is what he’d been chauffeured by, or in, in India, for a considerable period of time. As he is getting retired from Rochester, New York to Sun City West, Arizona, his administrative assistant asked him what are the characteristics and colors you want for your Maybach?, He responded that he doesn’t need a Maybach. She responded that the corporate policy dictates that and you have to have what the policy says. He let the company know that he’s moving to a retirement community in sunny Arizona, “I don’t want to try to figure out how to resell it. 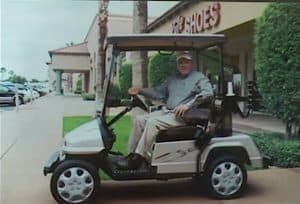 It won’t work well in Sun City West Arizona.” If you know about retiring to Sun City West Arizona, what kind of a vehicle do they really need? It was a fraction of the cost of the Maybach, much easier for them to order and have in place for when he arrived in Arizona at his new residence. Ultimately, he convinced the business, the corporation, against long‑standing policies and traditions. That by meeting his needs, he would both fit what he needed and what the organization best needed. This example may be a bit extreme but it really helps people understand the difference between needs and wants. You will have more people collaborating for a better solution for each other when you address needs, rather than wants. 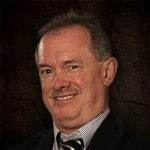 I’m going to tell you, a hundred percent of the time, that’s the goal on both the PMP Certification exam and in Professional Project Management. If you meet the needs, they’ll come back. If all you meet is the wants and not the needs, good luck with the long‑term career in Project Management. I look forward to seeing you in the classroom or online! 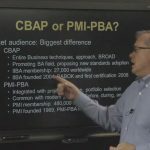 Steve teaches PMI-PBA: Business Analysis Certification, PMP: Project Management Fundamentals and Professional Certification, Windows 10, and CompTIA classes in Phoenix, Arizona.